By Chords. By Ear. By Heart. 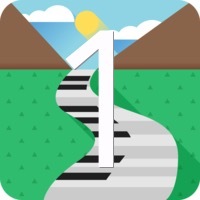 Following our proven Hack the Piano method, trusted and loved by over 150,000 students worldwide, Piano Lingo's Roadmaps are complete, step-by-step course experiences. Built like games, they guide you from your current level, right to the level you want to reach next. I consent to receive emails with both Piano Lingo's free and paid products and services. With Hack the Piano's unique, contemporary approach, learn how the music you listen to works. Music deconstructed into word-like blocks. Easy to grasp & remember. Have you ever seen your favorite artist looking at paper while playing? Exactly. The complete, multi-course, step-by-step program to learn how to play contemporary piano (pop, soul, funk, rock, jazz, blues, r&b etc.) without sheets - by chords, by ear, by heart. "..teaches in a manner easy to understand that makes the student eager to learn more... I love that I get to choose which music I want to learn/play... No matter the reason you are coming to the piano this is the program you want to take." Complete-, game-like-, step-by-step course experiences that guide you from your current level, right to the level you want to reach next. 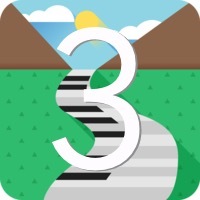 In this Roadmap you'll learn how to understand music through chords. You'll learn how to deconstruct and downscale any tune in the world, creating a unique version to fit your exact level - and play it. Regular lessons teach how to copy one song. Here we do things a little different. We teach you the concepts behind the music. Fundamentals that can be re-used in all music - so you never waist time blindly imitating, but always grow as a musician. Our 150+ (and counting) lessons work on any device, anytime, from anywhere. Understanding music means freedom - being able to paint your own musical canvas, playing anything you want - exactly like all contemporary musicians. Whether that is copying what someone else has played, or writing your very own music. The only aid you'd ever want to use - if any - are our convenient custom chord-sheets. "This is most likely to be the best that you'll find when it comes to learning how to play the piano. I've been taught classically for over 10 yrs now but was jealous in seeing a guitarist being able to pick up songs very easily, this program will enable you to that. It's top notch." A well balanced mix between HD videos, text, images, multimedia and exercises. Clear, bite-sized and easy to grasp - so you'll make exponential progress. Stuck? Want feedback? Join the bi-weekly live coaching calls / Q&A's or the discussions in our private Facebook Group. Help is always right around the corner. An astonishing value of more than 30 (and counting) courses, clearly laid-out in Roadmaps that will guide you through each step of your journey. Our ever-growing, always-and-from-any-device-accessible lesson database is constantly being updated with new features and lessons. Never guess which lesson is next. Earn points by progressing to grow levels and unlock next courses, bonus lessons & mini-programs. Cement your knowledge with exercises and quizzes. Don't forget a thing and know how to implement what you learned effectively and earn certificates to prove it. You took the mystery out of what I hear when I listen to contemporary piano and that’s not to say that your approach is good just for pop piano. I think it’s THE best way to learn piano! It's such a great program, because it is very organized and explains the information in a logical way. It is great because you can repeat the lessons until you get it down completely. …if you want to sit at any piano and play popular music for your family and friends-, if you want a basis to create music towards becoming a professional musician-, no matter the reason you are coming to the piano this is the program you want to take. This is most likely to be the best that you'll find when it comes to learning how to play the piano. I've been taught classically for over 10 yrs now but was jealous in seeing a guitarist being able to pick up songs very easily, this program will enable you to that. It's top notch. ..a breath of fresh air. 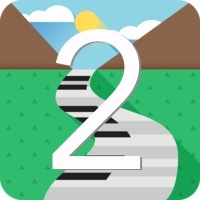 Coen offers thorough piano theory along with chord knowledge backed up with superb videos providing visual demonstrations of the subject of the lesson. He also provides wonderful tips for effective practice. This is not work, this is fun. This method has saved me time and effort as it has been well written so not to confuse the reader and opens a pathway of consciousness into the world of music. Wow I am glad I purchased this and so will you be if your looking to fulfil your piano dreams. Worth every penny.